Gobble gobble! Get ready for a merry holiday of harvest! 120 incredibly exciting nonograms! Thanksgiving Day Griddlers is an exciting game for developing logic skills which combines the spirit of griddlers with the warm atmosphere of the harvest holiday. Enjoy a golden autumn landscape, a holiday table with a roasted turkey, rich gifts of nature from the horn of plenty and over 100 themed levels! Visit 6 unique locations and solve 120 autumn puzzles ranging in difficulty. Even the most refined connoisseur of nonograms will be pleasantly surprised by the wonderful music and high-quality graphics! 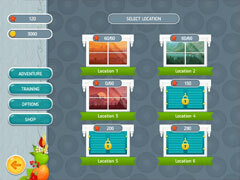 Each level reveals a new autumn-themed picture. 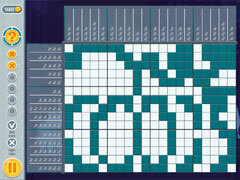 Solve all the puzzles and enjoy playing! It doesn’t matter whether you’re a newbie or a pro: the game contains a well thought-out tutorial that is sure to come in handy to any player! Break away from the hassle of day-to-day life, relax, switch your logical thinking into high gear and dive into the brain-stretching world of griddlers! Get into the spirit of golden autumn with the new and exciting Thanksgiving Day Griddlers! -6 artful locations and over 100 new levels. -Over 12 hours of exciting gameplay!